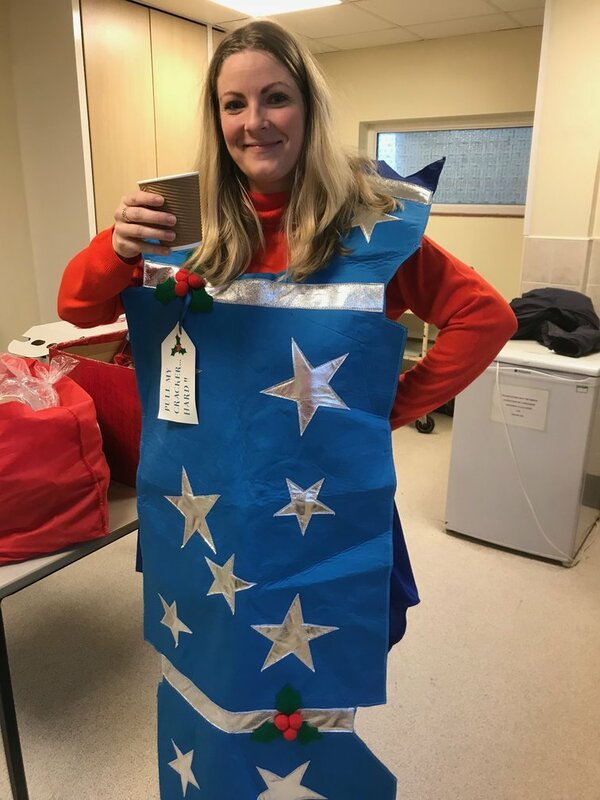 Our workforce have embraced the Christmas spirit already, and have been very busy in the community delivering some festive cheer in our 12 Days of Christmas activity. Café in Fordbridge – volunteers from IPS headed to the centre with a £300 donation towards their Christmas craft and cake sale to raise money for the charity. 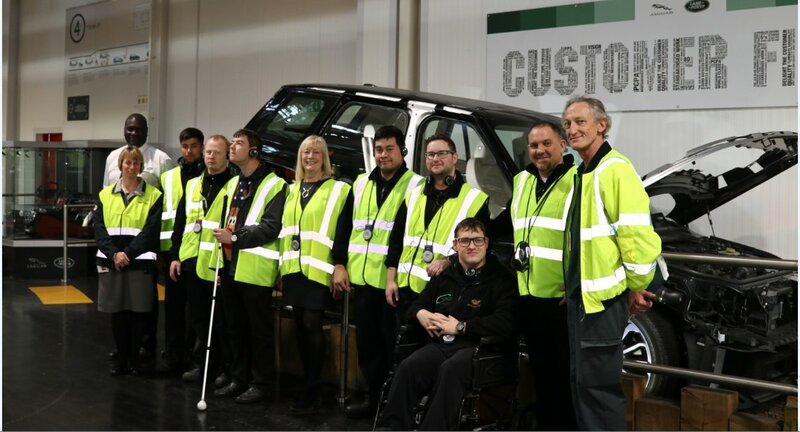 Colebridge Trust – the FA1 team collected our guests who employ adults with special needs and disabilities in a fleet of Range Rover’s and brought them on site for a factory tour where they could see our Range Rover, Range Rover Sport, and New Discovery being built. 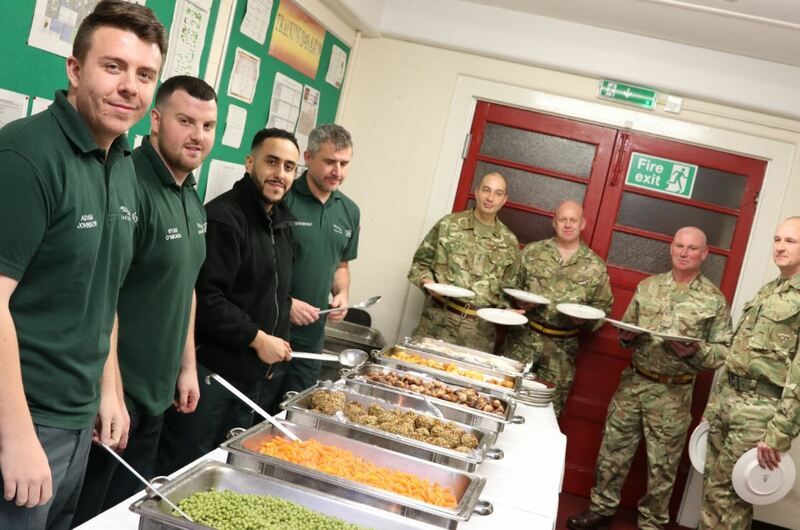 FAS Fusiliers – volunteers from FA2 headed down with a £500 donation towards a Christmas dinner for 50 soldiers, they also prepared, cooked and served the dinner! Hobbs Moat – Plant Vehicle Team helped switch on the Christmas lights at Hobbs Moat with a £500 donation for the community Christmas tree. Big Local – BIW Engineering headed down to the centre with £600 for Christmas presents at their Community party. Lyndon House – Business Protection went to £500 donation towards Christmas presents at community party. Shirley Community Centre – MP&L took their planning and logistical skills to the centre with some new decorations, to help get them ready for a busy Christmas season. Fortuno – Site Services volunteered at the young people’s community group in Castle Bromwich with a £500 donation towards their Christmas party. 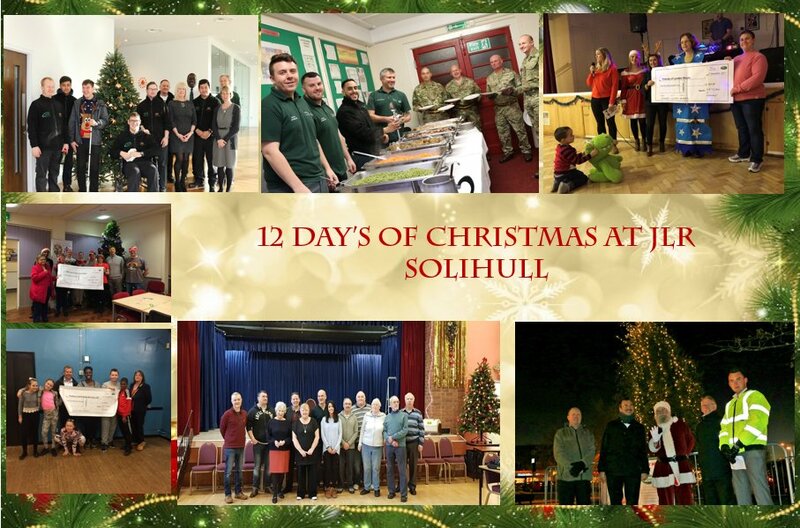 We still have lots to come until the end of December and we are looking forward to supporting more people in our community.